As a blogger, do you ever get a sense of deja’vu with that nagging feeling that you have posted something similar before? 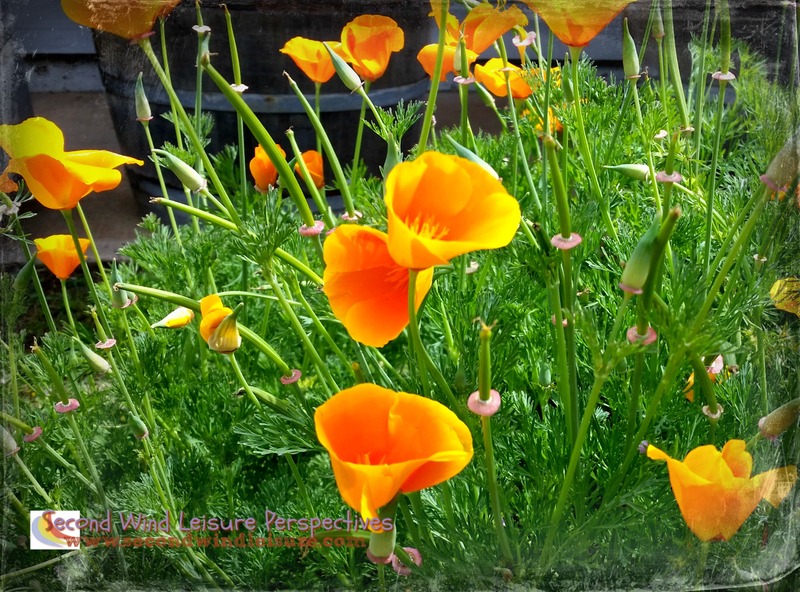 When I saw the WordPress Weekly Photo Challenge theme Prolific, I remembered this word and something to do with poppies. And guess what? I searched google and found my own post from three years ago! 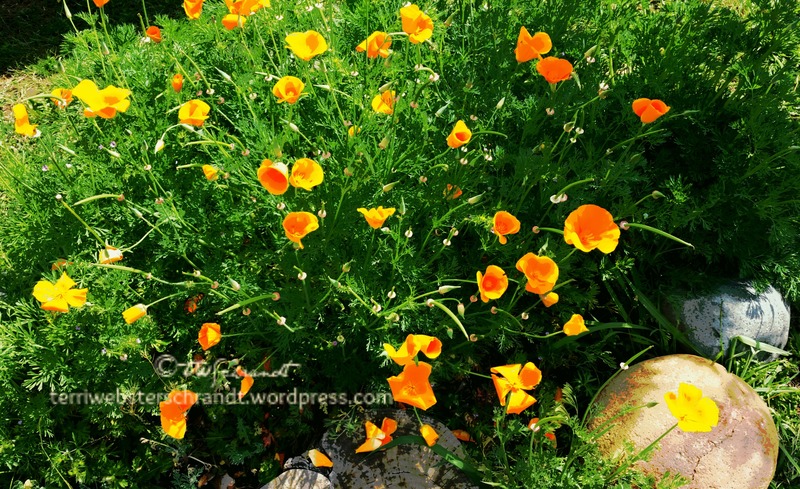 What better way to celebrate this theme than with photos of native California poppies? The beautiful orange flower is indeed prolific in March and April and adds beautiful pops of color along the freeways and in neighbors’ yards. Poppies are California’s State flower. I planted poppies from seeds a little too late for them to bloom this spring, but since they are annuals, I hope to see their little golden heads in spring 2016! **Update** they never did grow. I’ve read you have to plant poppies in late Fall. Better put it on my to-do list then if I want my own poppies. I refreshed this post today from April 2015 when I participated in Ed’s Sunday Stills Photography Challenge. Wildflowers were the theme. I enjoyed Sunday Stills so much that I am bringing the photo challenge back with it’s launch on May 6th! Visit my page for more information! Enjoy the prolific poppy flashback! I love California poppies! Your photo is very bright, cheery and lovely. Love the contrast between the vivid orange and the restful greens. Poppies are everywhere now! Took more pics today! 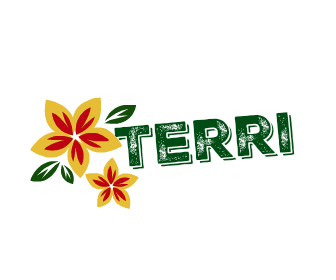 Beautiful, Terri. We have daffodils blossoming and the grass is getting greener. So happy to learn you are bringing back your photo challenge next month! I look forward to it. Thanks, Molly! Glad to hear spring has sprung there! Prolific indeed. Will be great to see you back on the blog full-time in May. Hope the school year is going well. Nice to discover a post from YOU!! We have these same poppies that appear mysteriously some springs and not others. It has been about five years since we had a bumper crop of our volunteer poppies along the east side of the Franklin Mountains. I am hopeful every year but disappointed more often than not. Thank you for sharing your poppies with me! Aren’t they a sight to see? They’re perennials so they “pop” up when they feel like it! They do love the side of the roads in rocky or sandy soil. You’d think they would love my yard, LOL! Getting back to blogging in early May–missed it! Oh, it was indeed my pleasure, Toni! Gorgeous. I gotta get out and get some snaps too. Oh I bet there are plenty of poppies around there to see! These are the golden ones that I am accustomed to seeing, and seeing your red ones is always amazing! Thank you! Aw, thanks, Tina. I’m excited to get back to the blogging world! I’ve been intermittent due to work but the semester ends soon and I’m working on my last lecture! I couldn’t resist this one to repost! They are very beautiful, both back then, and now. thanks, I did add a new photo to the post–they all look the same though, LOL! Gosh, I would love to see photos of that!! I place severalbphotos are my blog. Gorgeous color! I didn’t know the poppy was the CA state flower? Interesting! Thanks for taking the time to take these photos for us…I’m sure the homeowner was proud that you wanted to take pictures of his flowers! I’m sure next year, your poppies will be just as lovely. Thank you Lia! I would love to have poppies in my yard! Hope your Sunday was wonderful, too! Wow! Hard to believe! They are everywhere in my neck of the woods. After a quick Google I don’t think there are many of them in the UK. We have more red ones.